One of the greatest gifts we can give our children is the joy of learning. And learning is a joyful activity when children are given the opportunity to progress at their own pace, challenged by lessons and educational materials designed to meet their individual needs. We see a foundation for a lifetime of creative learning. To help each child achieve academic excellence, we use individualized lessons. And we offer a warm and caring environment where children can learn cooperation and respect for others. In our educational efforts, we seek to support parents as they respond to the needs of the whole child–developing personal values and inner strength for the challenges of the diverse and changing world in which we live. Click here to see our Newsletters! Click here to see our Photo Album! that foster scientific and mathematical aptitudes, nurture an appreciation of history and support the creativity of every child. Dr. Montessori said, “If houses suitable for children do not exist, let us build them” The first Children’s House, or Casa Dei Bambini was created in Rome in 1906. Since then, all over the world, millions of children have benefited and grown in houses, or environments, created especially for them. The Montessori classroom is not a nursery school. It is a “prepared environment” for children of two years and up. Children are free to work undisturbed, without unnecessary interference from adults. Although group lessons and activities are included in the program, they are not the central factor. The children work at their own pace, individually or in small groups, on projects of their own choosing. The older children help the younger ones, just as they would in a family, and in doing so reinforce what they have already learned and strengthen their own integrity and responsibility. The younger children benefit because they learn readily through the help and example of their peers. By attending a Montessori School of Concord tour, you learn about our Montessori community and how we tap into her legacy to meet the needs of today’s children. 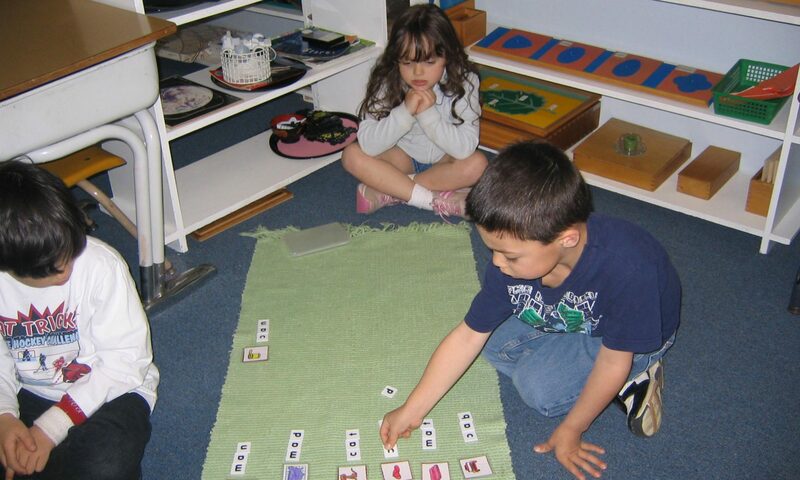 During our twenty-five years the skilled and sensitive teachers of Montessori School of Concord have been creating a place to learn how to learn. . . which at the same time engages the imaginations and intellects of young children.